Hunting hygiene' is an internationally unparalleled textbook introducing the basics of hunting hygiene. This concept includes the basic biology and ecology of game animals as well as game animal diseases and their causes. An important part of hunting hygiene is the identification and assessment of pathological alterations and the possible risks for humans caused by animal diseases, and how these risks can be diminished. Risk control begins with the practice of environmental and game animal management, animal health and hunting dog health care. Other essential parts of the subject are hunting methods, correct practices in game handling, slaughterhouse hygiene and safe preparation methods of game in the kitchen. 'Hunting hygiene' presents the tools to detect and assess diseases in game animals and the universally applicable principles of hygiene during hunting and handling meat from wild game, illustrated by numerous examples. The content of this textbook is enlivened by unique photographs and Sauli Laaksonen's watercolour illustrations. 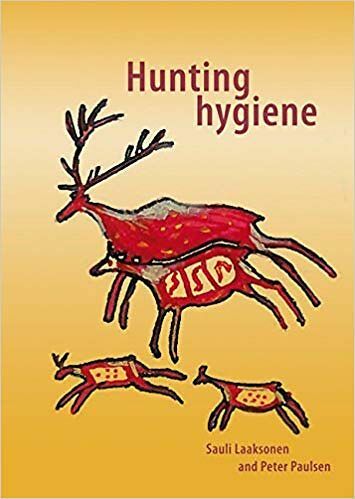 The authors' exceptional insight into the topic combined with years of collecting material and extensive international collaboration make this book a riveting exploration into the concept of hunting hygiene. 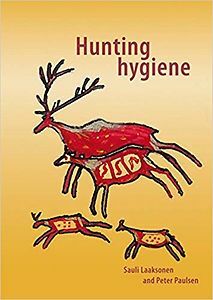 'Hunting hygiene' is a textbook intended for hunters and educational institutes in the field. It is also suitable for biologists, veterinary surgeons, doctors and all readers interested in the diversity of nature. The book focuses on north and central Europe. 'Hunting hygiene' is primarily based on the Finnish book 'Metsästäjän Terveysoppi' written by Sauli Laaksonen. Because in Finnish, it could not cover the international demand that became obvious after its publication in 2013.